Are you bored of all the Savannah and Rainforest themed slots around? Would you like some change of scene? We know what you have been looking for! Cooler environment, different nature and majestic animals. All this – and much more – you can find from the reels of Buffalo Blitz video slot. This game from Playtech takes you to North America, where buffalos wander. You will have even 4096 ways to win on these gigantic reels, so prepare for the blitz! Playtech was founded in 1999 by bunch of Estonian software, casino and multimedia experts. This provider has over the years proved that it is not a small player in the field and today it holds one of the most impressive game libraries. Instead of only providing games, Playtech focuses strongly on research and development, which might be one of the keys to its success. Buffalo Blitz video slot has beautiful backdrop with snow-peaked mountains, stormy-looking sky and grass waving in the wind. In the middle of this beautiful landscape you will see the reels of the game. Look carefully, and you might notice that there is something a bit different compared to regular video slots. Buffalo Blitz has even 6 reels and 4 rows! And because of this and Playtech’s All Ways Feature, there are staggering 4096 ways to win. Symbols in Buffalo Blitz video slot are the most part theme related. There are several animal symbols spinning on the reels, but in addition to that you will find some traditional playing card symbols and 2 special symbols. Playing card symbols are the lowest paying ones. Next in order are elk and bear and after that there are raccoon and cougar, which bring the second highest wins of the game. And the biggest wins you will get whit buffalo itself! This angry looking animal can appear on the reels stacked – and this might just be where Buffalo Blitz video slot got its name! As mentioned, there are two special symbols on the reels of Buffalo Blitz video slot. There is a diamond symbol which is the wild of the game. This symbol can substitute all the other symbols – except scatter – in the winning combinations. This beautiful and sparkling gem can appear on all the other reels but first one. The other special symbol of Buffalo Blitz video slot is free spins symbol with which you will get free spins. The amount of free spins depends on the number of free spins symbols on the reels, with 3 you will get the minimum amount. 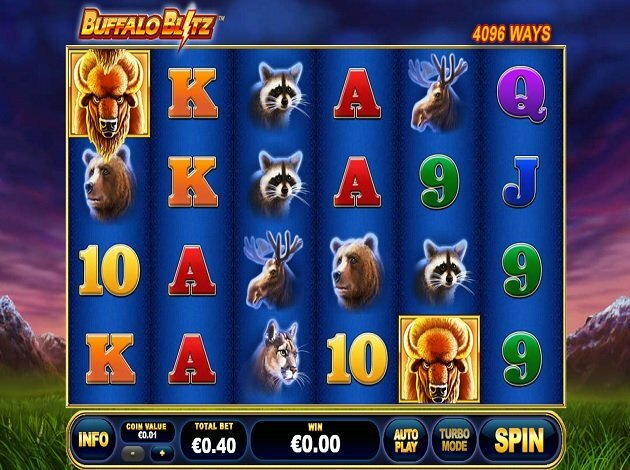 The theme of Buffalo Blitz video slot is obviously buffalos but also other species living in the same areas as buffalos. Buffalos were hunted almost to extinct back in the days but nowadays there are again quite good number of them wandering around North American taiga. This means, that today you can meet these creatures also outside the reels of video slot, even though from Buffalo Blitz video slot you might get rewarded by spotting one! The graphics of Buffalo Blitz video slot are beautiful, especially all animals on the reels are executed in a lovely way. Reels are dark blue, which gives these symbols room to shine with their full power. The graphics of this game compliment the nature theme and sounds give the extra spice to the game. Beautiful but excitement-filled, this is Buffalo Blitz video slot described in a nutshell. As you might remember, Buffalo Blitz video slot has 4096 ways to win. 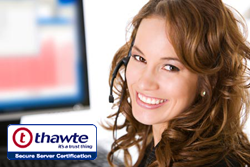 This means that there is no possibility of activating or deactivating paylines. However, you will set the bet by choosing the coin value. This can be set between €0,01 to €5,00. This gives players with different budgets the possibility to try out the game. Although you should remember that this is quite high volatility slot. High volatility slots will give you nice Vegas-like excitement, but might also sometimes require a bit bigger budget to play than lower volatility slots. As in many other games, you get the chance to chase Buffalo Blitz video slot’s biggest prizes in the free spins. Buffalo might have been almost disappeared because of the excessive hunting, but this haven’t stopped it from ending up as a star of video slot, several of them. This means good news for video slot lovers, who might want to try out bonus game on the reels of buffalo-themed slot. Even Buffalo Blitz video slot doesn’t have a bonus game, you can find one from the Blazin’ Buffalo named video slot. To hit the free spins in the Buffalo Blitz video slot, you need to get at least 3 free spin symbols on the reels. The amount of free spins symbols will determine the amount of free spins rewarded so the more of these symbols you get more free spins you will get. The amount of free spins you will get are represented below. During the Buffalo Blitz video slot’s Free Spins Feature, wild symbols can appear only on the reels 2, 3, 4, 5 and 6. Whenever it appears as a part of winning combination, you will get the win multiplied by 2, 3 or even 5! Free Spins can be re-triggered in Buffalo Blitz video slot. Besides Free Spins feature and wild symbol, Buffalo Blitz video slot holds no other special features. Apart from All Ways feature, which has brought even 4096 ways to win on the reels. This vast amount of ways to win is possible because you will be rewarded by every symbol combination which is formed by 3 or more same symbols landing on the adjacent reels from left to right. Do you feel the cold wind blowing from taiga? Now it is time to go buffalo watching! A few editions by Playtech are Nostradamus and Halloween Fortune 2.